I ordered a couple things from Sleek MakeUP (which is an awesome, affordable UK brand if you didn't know) and finally received my package in the mail today. What's the first thing I did? Play around with the makeup, of course! 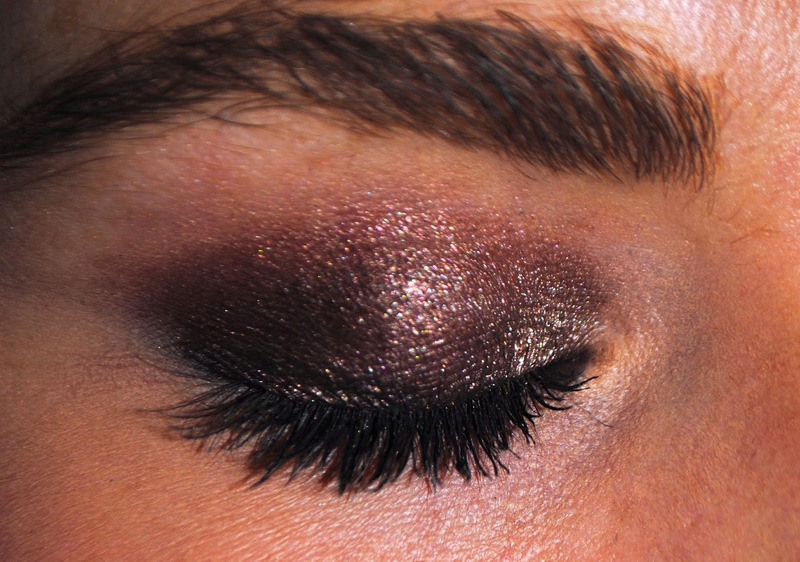 I have a super quick brown sparkly smokey eye look. This Sleek i Divine palette is called Au Naturel, and it's one of the brand's more popular eyeshadow palettes. The packaging is slightly larger than the Naked Basics palette, for reference. These are $9.99 on Sleek's website. The only downside is you have to wait up to 2 weeks for your stuff to get to the US. I started out with a little bit of the light shimmery brown shade (top row, far right) towards the inner corners of my eyes and patted some over the entire eyelid. Then I took this gorgeous rich chocolate sparkly shade on the bottom row (furthest left) on my crease and blended it. I finally went in and took that dark brown/dark gray sparkly shade (middle of bottom row) and patted a tiny bit on the crease and also blended this together with that chocolate brown. This eye look took me literally 4 minutes! I just topped it off with some brown eyeliner to make my eyes pop just a little more. The Best Eye Makeup for Blue Eyes: Warm Browns!